Seiken Densetsu (FFA) heading to PS Vita/Android/iPhone! You can also check out the new website covering the new game here. Thanks Sheexy for the heads-up. Rise of Mana, the latest installment in the Seiken Densetsu series which to many fans’ disappointment has been a mobile-only title, is now going to hit the Playstation Vita this May in Japan. Whether it will make it further west than that is yet to be seen. If nothing else, you can at least enjoy the music from the announcement trailer. While we still don’t have solid news on whether Rise of Mana will reach western shores, and adding to recent news that Rise of Mana will be expanded to the PS Vita platform, we now have video proof that the characters from Secret of Mana are due to be playable in Rise of Mana. You can see some previews of the 3D models for the characters in this presentation video. In a few days the OST for Rise of Mana, the latest mobile installment of the Seiken Densetsu series, will be released. 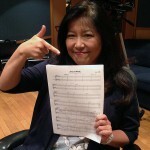 It includes one track from Yoko Shimomura (Legend of Mana, Heroes of Mana), one track from Hiroki Kikuta (Secret of Mana, Seiken Densetsu 3), and a couple from Kenji Ito (Final Fantasy Adventure, Sword of Mana, and more). Most tracks are courtesy of Tsuyoshi Sekito, who contributed to the soundtrack of Dawn of Mana for the PS2. You can hear some previews of a number of the tracks here. I have to mention though that one of Itoken’s tracks is a piano arrangement of Rising Sun. Again. Really? Seriously, how many more times?